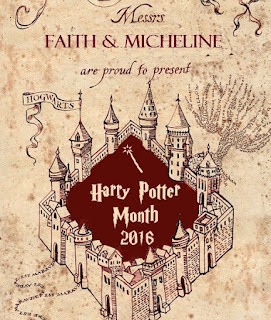 Rally the Readers: Harry Potter Month: I Love Being a Ravenclaw! 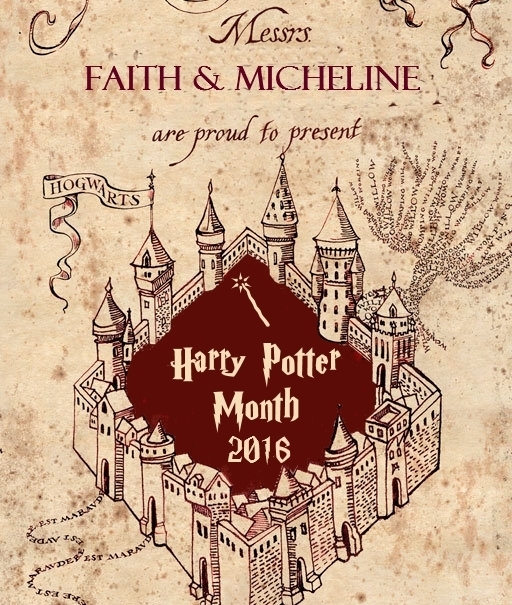 Harry Potter Month: I Love Being a Ravenclaw! I second guess things A LOT, lol, but something that I've never questioned is which Hogwarts house I belong in. When Pottermore first launched and the sorting quiz put me in Ravenclaw, I wasn't surprised at all. The house with the motto, "Wit beyond measure is man's greatest treasure" is definitely the house for me. Oh, I would absolutely feel right at home among my fellow studious Ravenclaws. I don't think I'd ever have to worry about finding a study buddy or two. Every trip up to Ravenclaw Tower would be an adventure, trying to correctly answer the door knocker's riddle. Plus, all those steps would probably mean I'd reach my daily step goal with no problem! I couldn't imagine a world where wit didn't exist, so I love that Ravenclaw House holds it in such high esteem. I also love the idea of running into the one and only Luna Lovegood in the Common Room. What fantastic conversations we would have about Nargles, the Crumple-Horned Snorkack, and so much more. Fellow Ravenclaw here! For me it was never a question either. I knew that Ravenclaw House would be the one for me the moment I knew what their main attributes were. It's funny that it's the only house I can think of that has an actual motto - or am I forgetting something? I think out of all Hogwarts Founders, Rowena Ravenclaw has always interested me the most and then, finally, in DH we got a tiny glimpse into her story and it was both fascinating and heartbreaking... I'd love to know more about her and I'd really love to read about Rowena and Helga's friendship. I would also love to try myself at getting inside the Ravenclaw Tower. I wonder how many attempts it takes an average Ravenclaw to enter or whether any answer can be interpreted as the correct one depending on the perspective? Hmm...that's a good question about the other houses having mottos; off the top of my head, I don't remember coming across any but Ravenclaw's. I'd love to read individual histories of the Hogwarts founders! JKR would never run out of HP-related material to write about, that's for sure, lol. I think there would definitely be flexibility in the definition of a "correct" answer to the door knocker riddles. An answer might not necessarily be the expected one, but I think cleverness would be taken into account here. BUT LUNA. I agree, she'd be a highlight of being a Ravenclaw...as would Blue Sargent. Don't worry, with her in your Tower, I'm SURE Gansey will head over often enough ;) I love the Ravenclaw Tower, your House colours AND the riddles to get into the Common Room! Ravenclaw just always seemed like the ideal fit for me. I've always loved learning, and while of course I would've been thrilled to have been sorted into Gryffindor alongside Harry and the gang, my result made total sense to me. I thought I'd be in Ravenclaw for sure the first round, but was sorted into Hufflepuff. When I realized how much I value loyalty and honesty though, that wasn't a huge surprise after all. Zane was quite devastated too that he didn't get sorted into Ravenclaw. This go round though, we were both put in. Not sure what the change was, but we are where we though we'd be all along. I agree about the wit definitely. Where would our reading lives be without witty banter? I never knew about Raven Cycle being sorted! That's pretty great. I love that Blue is a fellow Ravenclaw. The common room has always sounded so beautiful. A guy at work drew me a picture of Luna as a bunny with "Wit beyond measure is man's greatest treasure" on it and it is hanging by my desk. We are sisters indeed because I'm House Ravenclaw too!!!! YEAH! Somehow, I'm not surprised because we already have so much in common, lol. I'm a Ravenclaw as well! I love that Blue would also be one, and I can definitely see Gansey as a Gryffindor! Yay for Ravenclaw! Gansey is definitely a Gryffindor, brave and loyal for sure! I never knew what house I would be in, but that wasn't an issue because I loved them all for one reason or another. When I took the quiz on Pottermore I was pretty sure I would be sorted into Ravenclaw because of the way I answered some questions, but I was pleasantly surprised when I was sorted into Slytherin along with my sister. It's been my sworn house ever since! Ravenclaw is a great house. I love it for it's qualities and also because of Luna. And I would imagine that living in the tower would be amazing. That's so neat that both you and your sister were sorted into Slytherin! My cousin is the lone Slytherin among her siblings, lol; her sister got Ravenclaw and her brother got Gryffindor! Ravenclaw alright! I retook the test recently and came up Ravenclaw (which was only slightly surprising) but I chose to stay in Hufflepuff (because the Sorting Hat takes your choice into consideration.) But I have mad respect for the Ravenclaws out there. Plus, getting to hang out with Luna would be so awesome. The stories she could probably tell, lol. I'd absolute love to be friends with her! That cinches it. I finally have to take that sorting quiz. I feel like I've read through enough now that I can get away with it. You definitely should take it! The quiz itself is a lot of fun to take, and there's the moment of suspense as you wait for your result to appear!